Atlas and the Anchor: The Helio Sequence - "Negotiations"
The Helio Sequence - "Negotiations"
The Helio Sequence return after a four year wait with their highly-anticipated fifth album Negotiations out this week on Sub Pop. The studio-proficient duo of Brandon Summers and Benjamin Weikel create a unique brand of beat-driven indie rock with hypnotic synths and 80's-informed melodies and this time around have taken to analog equipment and the results are richer, warmer and larger which suits their sound well. The humming "One More Time" opens the album with a wide-open reverb-rich sound reminiscent of The Walkmen. The first single, "October" follows with a festival of transfixing shimmering synth patterns, ringing guitars and an infectious sing-along chorus. "Downward Spiral" features a fast paced yet danceable beat along with cosmic synths and squiggly guitar arpeggios. "The Measure" stands out with tumbling drums, soaring synths and emotional vocal melodies. The second single taken from the album, "Hall Of Mirrors" features cascading cyclical guitars and some Tears For Fears-like melodies for another standout moment. The aching and melancholic "Harvester Of Souls" provides a change of pace in the album's middle. The stuttering beat and interplay between the slowly building synths and guitars on "Open Letter" provide a dreamy landscape to get lost in. Another standout, "When The Shadow Falls" is a bouncy track with sweeping synths and background vocals. 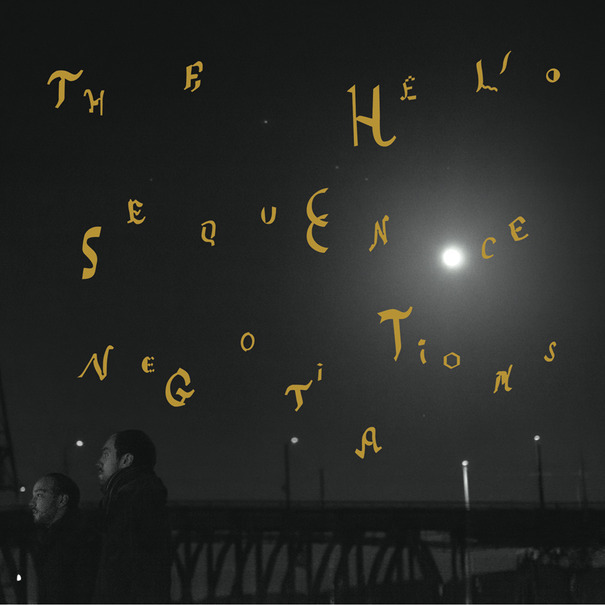 And the eleven track album closes out with the swirling guitars of the meditative title track, "Negotiations". If you pre-order Negotiations direct from Sub Pop (or select indie retailers), it comes with an additional disc, Aces, which is meant to be played alongside the album for a unique listening experience. Two Gallants - "The Bloom And The Blight"
Niki & The Dove - "Instinct"